UPDATED POST – Due to the level of requests still coming in to cleanse, it’s been decided to run another cleanse starting February 11th 2013. To participate, please email info@thepagodatree.com.au with the simple subject title – ‘ I want to cleanse’ and we will email you the info. It is inspiring that so many of you want to get healthy! Want to fully maximise your fertility potential? Cleansing is your answer. It’s like a good ol kick in the guts – shoving out the crapola that has built up in there over however long. Now that’s good for everybody, not just those thinking about babies. So how does cleansing make you more fertile? Here’s the deal. Eating for fertility and fuelling your hormones is key in the long run (think fertilise yourself). But loving your body that little bit extra and giving it a shake up every now and again is going to get that gut of yours so happy – it has no other option but to work better. And if you have read fertilise yourself, you’ll understand just how imperative good gut function is to ensure that maximum nutrients is scooting around that body of yours. The gut is the pivot of your health. If you missed our healthtalks clip yesterday, you might want to take a look and get the low down on just how important you digestive system is – we touch on fertility too and making totally healthy babies. It’s a good one. 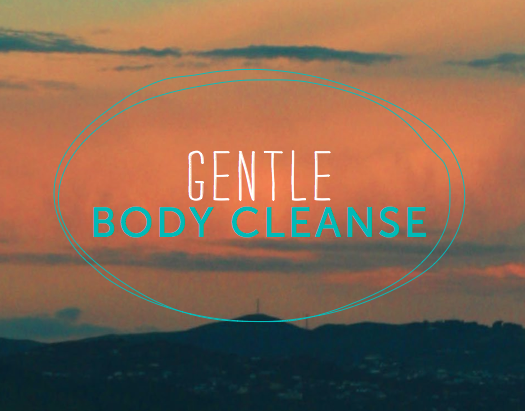 My gentle cleanse really is an easy, basic cleanse that anybody can do at any stage of their life. It is set up to support you through 5 days of getting your digestive system really clean. You may not know that plaque and gunk build up, even in healthy guts, as a means to protect the body. It goes into overdrive to trap toxic matter to make sure you don’t get sick. These daily toxins we are exposed to, be it in the air we breathe or the water we wash in, even some of the foods we eat and simple daily happenings take their toll and will without doubt make us sluggish. And because we don’t live our lives in bubble wrap, we have to find ways, like cleansing, to help our bodies have a good dredge every now and again. This is one of the best things you will do for yourself this year. I know you’ll be back for more because you’re human and all humans love my cleanse. Today is your last day to register. To do so, email info@thepagodatree.com.au with the subject line “I want to cleanse” and we will forward on what you need to do to be part of this party! Hi – I’m interested in the fertility cleanse and would love to get more information. Could you please let me know about the fertility cleanse ? Keep watching – we’re off 15th April. Stay tuned – I’ll be announcing everything cleansing in the next few weeks. i want to cleanse and get pregnant! Yes please! I want to cleanse! Check out today’s post – we’re cleansing again but spaces are limited! hi…ive had 2 miscarriages in a years time..and i want to do whatever it takes to have a healthy body for a healthy baby..i want to cleanse…..